Riskin Associates wishes everyone a very happy Mother's day! Montecito and Santa Barbara will be enjoying some beautiful weather this weekend, so get outside and celebrate mom! If you love these gift ideas and would like more information, click the links below. Find Gouette de Rose Eau de Toilette ($121) at CosBar in Montecito's lower village. Pressed Juicery offers a variety of cleanses to fit anyone's nutritional needs. Find it in the lower village. 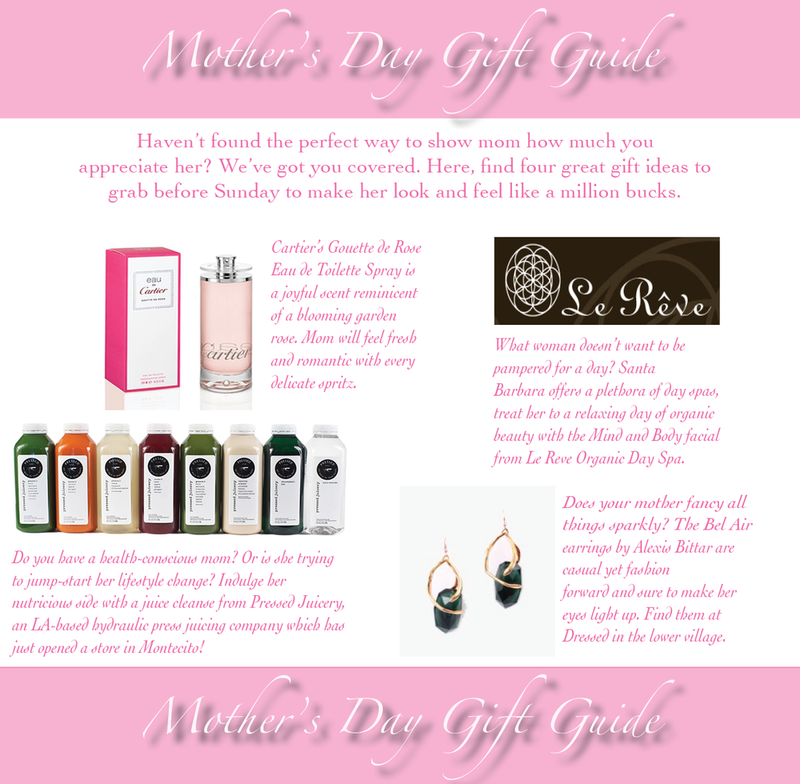 Santa Barbara's Le Reve Organic Day Spa's Mind and Body facial ($150) will restore and rejuvenate! Discover Dressed in Montecito's lower village and find Alexis Bittar's Bel Air earrings ($295).